This was a painting I did some time ago and is on my web site: grahammcquadefineart.com. Now as I was looking for subjects for the Café series I thought that it was quite relevant, but the original looked a bit insipid so I thought that I would redo it. It was a hard job and this took me two goes. Looking at this it could still do with a bit more work. However it does capture the heat quite well, so I am moderately happy. 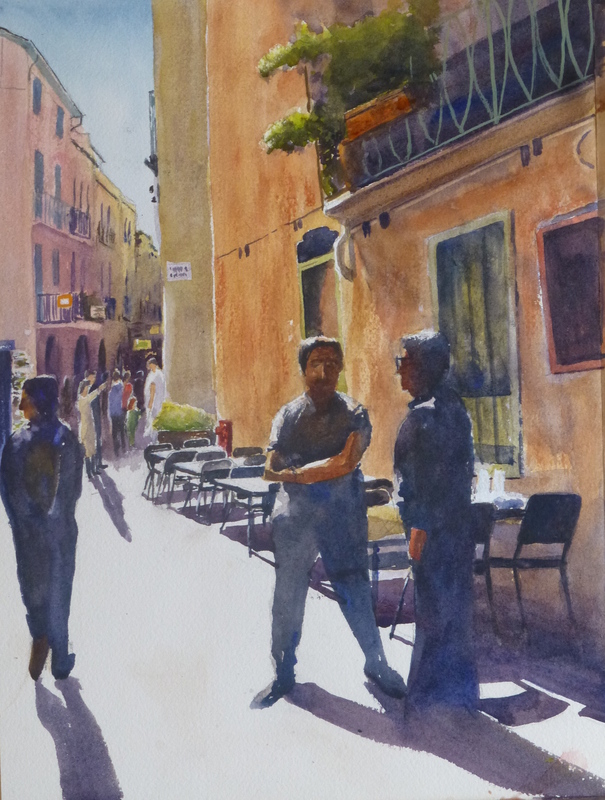 This entry was posted in cafe, France, watercolour and tagged cafe, COLLIOURE, France, painting, watercolor, watercolour. Bookmark the permalink.